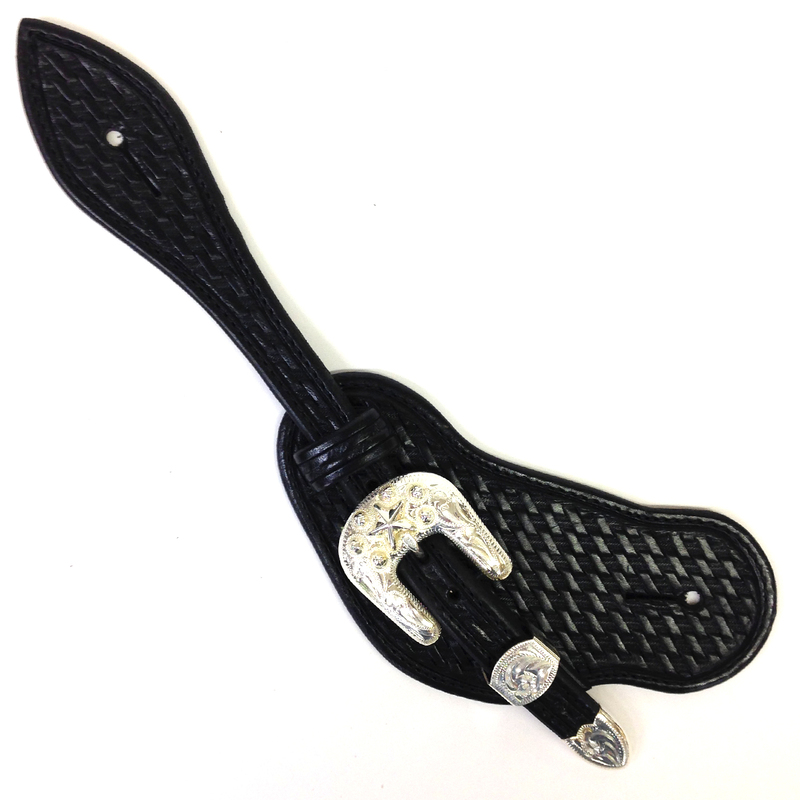 A black feed-through style strap for ladies featuring a hand-tooled basketweave print and a silver buckle set. Buckle is detailed with a star and raised berry ornamentation. One size fits most ladies boot sizes 5-9. 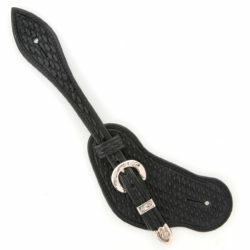 Be the first to review “Ladies Black Feed Through Spur Straps 09” Click here to cancel reply.